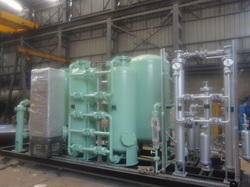 We provide complete solution of Cryogenic Plants to various small and large scale industries throughout the country. 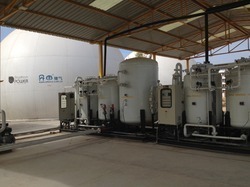 These include Air Receiver Tank for Compressed Air, PSA Nitrogen Plants, Hydrogenation Plant by Natural Gas Steam Reforming, Hydrogen Generation Plant by Water Electrolysis, Solar Panel Lighting System, Solar Panel Hot Water System, Bio-Gas To CNG Purification Unit, Bio-CNG and H2 Mixing Plant, Air Dryer, Gas Dryer, Oxygen Gas Generator, Solar Panel For Hydrogen Generator etc. 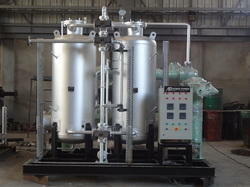 Atmos Power PVT LTD offering PSA and VPSA Technology based Oxygen Gas Plant with complete system. Atmos Power Pvt Ltd is leading Manufacturer,Designer & Supplier Company.We are following the ISO coding system in our manufacturing and designing.We are ISO certified 9001:2008 company. We have leading satisfied customers in Gujarat. ATMOS POWER PVT LTD is leading Manufacturer, Designer & Supplier Company. We are following the ISO coding system in our manufacturing and designing.We have capable technical service engineers & technical team who provide satisfactory services to client’s requirements.We offering PSA and VPSA Technology based OXYGEN GAS PLANT with complete system. ATMOS POWER PVT LTD is ISO certified 9001:2008 company and we have customize capacity in OXYGEN PLANT as per client requirement. We have leading satisfied customers in GUJARAT. 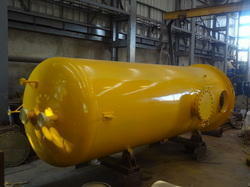 1) The primary application of this gas can be seen in steel manufacturing plants. 4) Ceramic Industries for Power Saving. 5) Oxygen is also called the medical gas, but the one used for medical purposes is the purest form of oxygen. This form of oxygen is treated and purified to make it suitable for medical use. ATMOS POWER PVT LTD offering BIO GAS PURIFICATION & BOTTLING PLANT and also provide Bio Gas To CNG Purification Plant with complete system. ATMOS POWER PVT LTD is ISO certified 9001:2008 company and we have customize capacity in BIOGAS PLANT as per client requirement. We have leading satisfied customers throughout INDIA. ATMOS POWER PVT LTD is leading manufacturer, designer & Supplier Company. We are following the ISO coding system in our manufacturing and designing. We have capable technical service engineers & technical team who provide satisfactory services to client’s requirements. Purification of biogas by vacuum pressure swing adsorption was evaluated to produce fuel grade methane (FGM).A five-step cycle configuration (feed, intermediate depressurization, blow down, purge, and pressurization) was employed to compare with results obtained with a four-step cycle without intermediate depressurization. The effect of different operating variables like step times and pressure conditions of the cycle was analyzed. To know more please call or mail us with your valuable enquiry and will provide you satisfaction solution and suggestion with technical data for Bio Gas system. 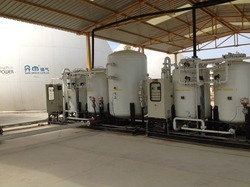 Nitrogen (N2) Gas Generator plant eliminates all disadvantages associated to the purchase and operation costs of high- pressure N2 cylinder systems or cryogenic nitrogen gas storage tanks, enabling a permanent source of onsite Nitrogen with minimum energy consumption and maintenance requirements. 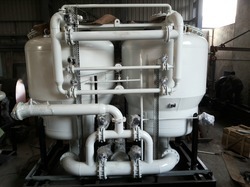 PSA Nitrogen Gas Plant is designed to be easily installed in any indoor facility requiring only a compressed air line and a power connection.With purities up to 99.9999% of N2, Nitrogen Gas Plant Gas can be connected to an external buffer allowing a reserve or a delay of production/consumption in accordance to the needs of each application. ATMOS POWER PVT LTD offering cutomize capacity as per client requirement.We are leading designer, manufacturer and supplier of Air Receiver. We provide satisfactory services and quality base products. We have sufficient technical team with service engineers, workers and helpers and have own manufacturing unit. ATMOS POWER PVT LTD has satisfactory customers through out INDIA. We are also dealing in Globle Market as per client requirements. In manufacturing system we used IS coding of design in different application process for small, mid & big scale industries i.e. We are committed to Quality. Our consistent growth and expansion in the industry is basically a result of our unwavering focus on the quality of our products and customer services. Every part and component is designed meticulously adhering to international quality norms to ensure that the gas dispensed from our plant is of the purest verity. Our quality experts lay emphasis on safe operations of the equipment and functional efficiency so that our clients can derive maximum value for their money. 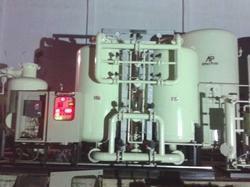 Air and gas dryers are designed to extract moisture from air and utility gases (hydrogen, nitrogen, inert gases, etc). These industrial dryers remove condensation and moisture from air or gas, and thus protect the life of pneumatic instruments. 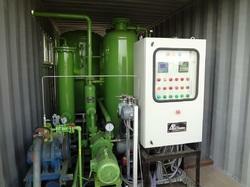 For certain applications, dry air is also supplied as feed gas. The air and gas dryers find their application in pneumatics, instrumentation, pulp and paper, chemical industries, in off-shore oil rigs, and other hazardous locations. 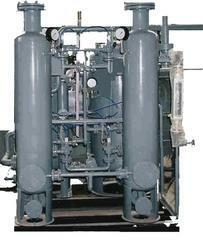 High pressure air and gas dryers are generally used in marine and defense applications. They are also used for high pressure generator starting, high pressure testing, air circuit breakers, etc. 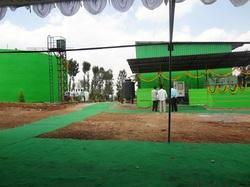 Prominent & Leading Manufacturer from Ahmedabad, we offer biogas single membrane ballon. 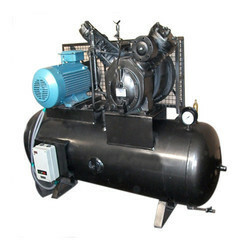 Prominent & Leading Manufacturer from Ahmedabad, we offer high pressure air compressor.